In the last two weeks of January of 2018 I traveled to Seoul in Korea for delivering a series of lectures on the relationship between leadership, knowledge productivity and value creation. The Vine Education Group (24 Jan), LG U+plus Academy (26 January) and Woonjin Goup Leadership Programme (30 January) invited me to present the concept of distributed leadership in relationship to learning, innovation and knowledge productivity. 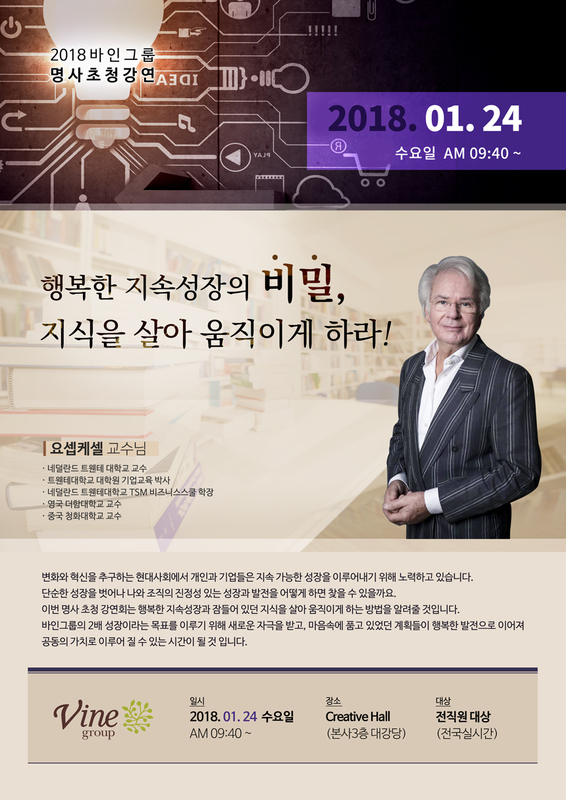 On January 25 at the Symposium on Leadership and Value creation, at the Seoul Press Centre, Dr. Suk-Jean Kang presents the Korean translation of his book Leadership, Knowledge Productivity and Value creation in Korean firms. LG, Woonjin, Samsung and Shinan Bank present their cases. Joseph Kessels offered a reflection on the four case studies.